NEW YORK — Former East Carolina and Auburn coach Pat Dye and retired West Virginia coach Don Nehlen were among a class of 13 gridiron greats named Wednesday to the College Football Hall of Fame. Legendary Alabama linebacker Cornelius Bennett, Heisman Trophy winner John Huarte and Southern California tailback Anthony Davis join a group of 11 players that will be inducted along with Dye and Nehlen at a December awards banquet in New York. The class will be enshrined at the hall in South Bend, Ind., next year. Also entering the Hall of Fame are Pittsburgh offensive lineman Mark May, Michigan defensive back Tom Curtis, Penn State offensive tackle Keith Dorney, Ohio State end Jim Houston, Texas fullback Roosevelt Leaks, Oklahoma running back Joe Washington, Stanford defensive lineman Paul Wiggin and Illinois wide receiver David Williams. Nehlen, the winningest coach in West Virginia history, and Dye, who won four Southeastern Conference titles in 12 seasons at Auburn, are the only coaches in this year's class. Nehlen was the 17th coach in Division I-A history to win 200 games, finishing his career 202-128-8. During 21 seasons in Morgantown, WV, he won 149 games and turned the program into one that could compete with the best in the nation. Still, induction into the Hall of Fame humbled him. 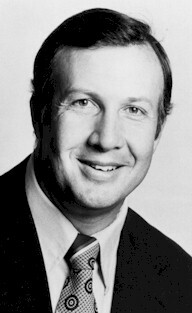 Dye's head coaching career started at East Carolina, where he compiled a 48-18-1 record from 1974-79 after serving an apprenticeship as a defensive coordinator under Hall of Famer Paul "Bear" Bryant at Alabama. He spent a year at Wyoming before going to Alabama's arch-rival Auburn in 1981. He won three straight SEC titles from 1987-89, and nearly lured Bennett away from from his former Crimson Tide boss. COLUMBIA — The NCAA denied South Carolina quarterback Mike Rathe's request to reconsider his application for a sixth year of eligibility. The university announced the NCAA's decision Wednesday and Rathe said he plans to appeal. The NCAA had initially rejected Rathe's request to extend the five-year window for football eligibility. Rathe attended the University of San Diego and Mesa Community College before transferring to South Carolina. He requested the additional year because he missed a full season with a broken finger before he got to South Carolina. ``We have been waiting for three months so I am disappointed,'' Rathe said in a statement released by the university. ``But we are not dead yet because we have an appeal left. The 23-year-old played in five games in 2003, his first season with the Gamecocks, completing two passes for 24 yards with two interceptions. Last season he had his most notable moment with South Carolina, tossing a 19-yard touchdown pass to Troy Williamson with 1:28 to go in a 12-7 victory against Kentucky. For his South Carolina career, Rathe was 14 of 26 for 167 yards with two touchdown passes and three interceptions. Rathe was one of several quarterbacks competing for the starting job during spring practice for new coach Steve Spurrier.